Ron’s Ron shirt was just as bad as Ron himself. If you haven’t yet encountered “The Handsome One” – a short computer-generated chapter of an imaginary Harry Potter book entitled Harry Potter and the Portrait of what Looked Like a Large Pile of Ash – you owe it to yourself to give it a quick read. One of the funniest things I’ve seen in a while! 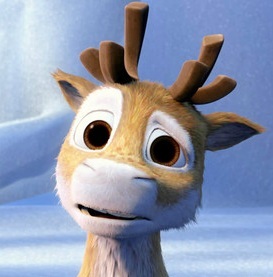 You can’t always strike gold when absently perusing Netflix, but sometimes, you might strike…reindeer? Don’t strike reindeer, though. That’s terribly rude. After seeing the second movie, tracking down the first became a necessity. Glory in their madness, and have a happy new year! I’m not really a huge comic book person, but I have thus far enjoyed what Marvel Studios has done with its cinematic franchise, committing to a combined setting that links all the films together and gives them a larger feel than they would otherwise have alone. That said, although the tenth entry is the least connected to that shared universe yet, I think Guardians of the Galaxy is the first to live up to that sense of wit and charm set by the studio’s stellar initial outing of Iron Man. It’s not perfect, and it won’t be everyone’s cup of tea, and I don’t know that I can quantify precisely why I enjoyed it so much, but it’s just so delightful that you may as well call it a big, tasty – kind of sweet, kind of nutty – candy bar in movie form. You’ve got the rich, chocolate coating of some fantastic visuals and CGI. Take a break from the dark and dour – this is comic-book colorful at its finest. Atop that, there’s a sprinkle of mixed nuts in the form of a catchy 1970s soundtrack. Not exactly what you’d expect with science fiction, but the songs are well-chosen, have a story-relevant presence, and add to the quirky vibe of the film. “Come and Get Your Love” is one of those songs that periodically seems to pop into my head at random, so there was a strange sort of pleasure in hearing it kick off the title sequence. 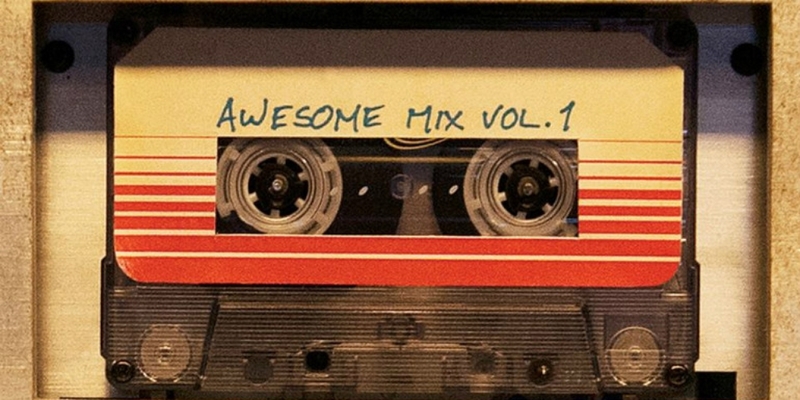 And “Hooked on a Feeling” has been stuck in my head all week – thanks, Marvel. Next, we have a layer of sea-salted caramel that provides the standout flavor of off-kilter fun and humor throughout. It’s a nice, consistent layer – this is a fabulously mirthful movie. The characters are all memorable and entertaining, pulling off a constant stream of smiles and a good spread of bust-out laughs from start to finish, which is a handy feat to accomplish (again, I’d say the original Iron Man is the only other Marvel flick to succeed there). Then, at the center of our confection, we have a curious core of treacle named Rocket – an unconventional secret ingredient that complements the rest better than one might expect and really makes the whole thing pop. I guess there are two reactions you could have to the notion of a talking raccoon bounty hunter in a live-action space romp: you can throw up your hands and say “O.K., this is a bit too ridiculous,” or you can sit back, buy into the craziness, and marvel (…yeah, I said it) at just how realized the scene-stealing little furball is. 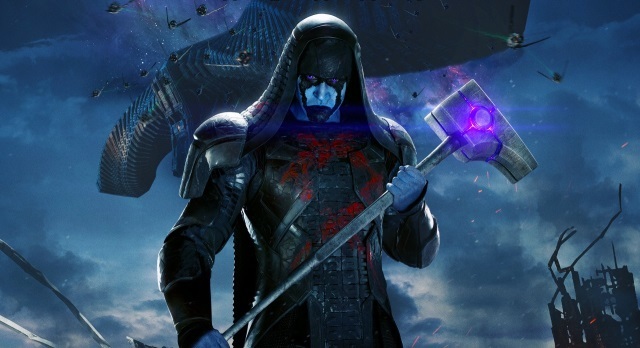 Rocket could have easily been a one-note gimmick, and in the hands of most writer/directors probably would have been, but James Gunn (who admits to a little favoritism) instead gives this computer-animated unhuman character fully-fledged protagonist status, the like of which has only really been done (at least effectively) in District 9 and Rise of the Planet of the Apes – but unlike Christopher Johnson (and Guardians co-star Groot), Rocket has to avoid an uncanny valley in resembling an actual animal, and unlike Caesar (and Guardians co-star Groot), he has to speak a whole lot more than a three-word sentence containing his name. But chocolate and treacle can mix pretty well, as it turns out, and the CGI is at its most impressive with this raccoon; he’s wonderfully expressive, and the film isn’t shy about showing him off and getting up close, even giving him half of the movie’s more emotional moments and nearly as much screen time as lead real-world-occupying-object Chris Pratt. This scruffy, snarly, smartass little critter isn’t relegated to the role of cutesy sidekick, but is all the more adorable for it. Finally, we mustn’t forget the nougat – that mystery substance that holds everything together. Call it a Disney touch, comic book excitement, or Star Wars magic – hard to say exactly what this special stuff is, but I suppose you don’t need to know to enjoy it. 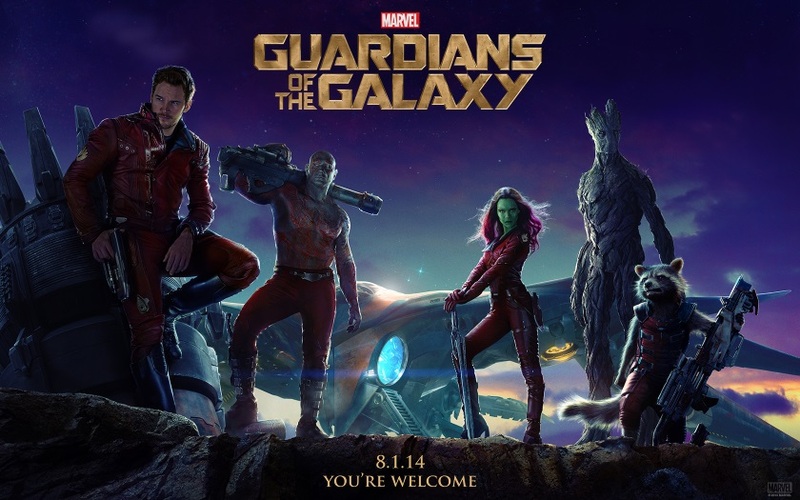 So, yes, Guardians of the Galaxy is a fresh, unique, satisfying cinematic candy bar. It makes me happy, and though it may not be the most nutritional thing ever, damnit if I don’t want another bite. Looking for some classic Christmas entertainment to liven up the holidays? Of course not – you can find that anywhere. Looking for some crazy Christmas entertainment to crazy up the holidays? 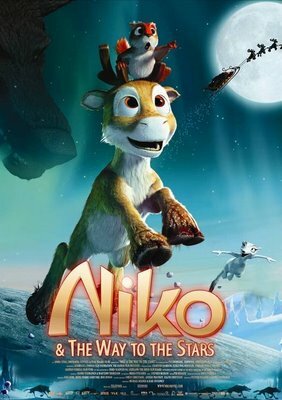 Well, then, might I prescribe a double dose of Finnish reindeer drama? They really do need to make more of these (if for no other reason than these reviews are always bringing in web traffic… (>^-‘)> ). Get on it, Finland! And to the rest of you, have a wonderful Christmas! I suppose I should start by saying that I’m not a big fan of dry-box macaroni and cheese (really, Stouffer’s frozen stuff is the only pre-made kind of any sort I find to be worthwhile). The other day at the grocery, however, I saw that Pepperidge Farm had decided to throw its hat into the game, and at that very moment I was apparently hungry enough to think, “Hey, Pepperidge Farm makes some really good stuff (mmm, Milanos), so this might actually be decent!” It was a long day, and Goldfish Crackers in creamy pasta-y form sounded kind of good, all right? Anyway, I was feeling adventurous enough to try the “pizza” kind, so I whipped up a batch thereof. The smell…was frightening. And then…and then I tasted it. Now, I don’t know in whose mind this substance could taste like pizza. Or cheese. Or food, for that matter. No, the flavor was more akin to dark, tangy, bitter misery. To wit, if you were to subtractively combine Top Ramen with Totino’s party pizzas, this would taste cheaper still. I tried to drown it out with pepper and garlic, but even so I was only able to stomach a few bites before throwing the rest away – something I am typically loath to do with any food, no matter how inexpensive. But as those few bites sat upon my tongue, I found myself wondering who “Goldfish Mac & Cheese” could possibly be for, as I was unable to imagine any person who would simultaneously actually exist and enjoy its taste. Even if I were to expand my consideration to theoretical people, and the basis for one such theoretical person (from which all other characteristics were derived) proposes that he is someone who would enjoy “Goldfish Mac & Cheese”, I can only conclude that he would also hate it. It just made me angry at food in general for the rest of the day. 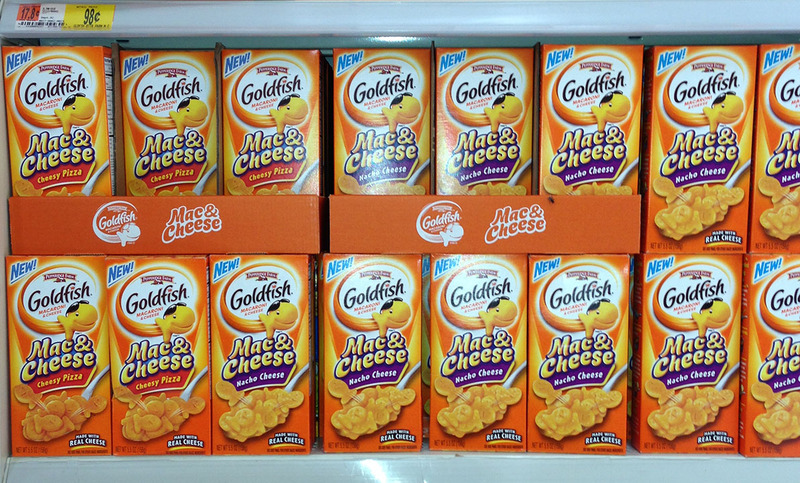 So I guess all I’m really trying to say is that, if you happen to find yourself in a position where you might consider putting Pepperidge Farm’s “Goldfish Mac & Cheese” into your body, well, you’ve just got to not do it, that’s all. I read this neat little novelette a few weeks back, and figured its merits deserve a shout-out. 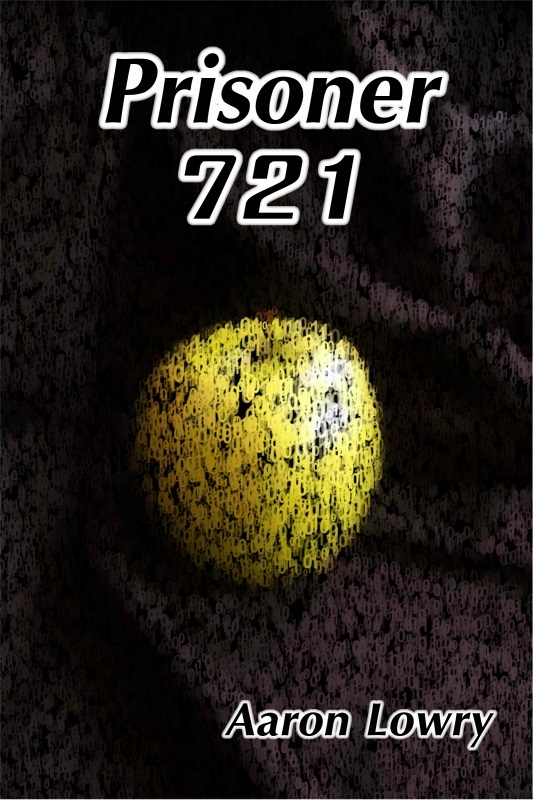 Prisoner 721 is, simply put, about a restless inmate who takes it upon himself to teach his prison’s artificial intelligence system how to analyze and interpret visual art. My favorite thing about this story – what I think makes it – is that it’s told in first-person from the perspective of the AI itself. Exploring the internalization of a ‘mind’ like this is always a fascinating exercise in thought, and Lowry does a great job of conveying the machine point of view in a unique, believable manner (the “X% chance of Y” trope may be a bit overused, but it has its pulp charm). The setting, primarily regarding the AI’s role and regulations, is well thought-out, so the scenario evolves in a natural way that doesn’t require sacrificing consistency or technical plausibility for the sake of the plot (a definite plus for any science fiction piece). It’s a clever, quick, worthwhile read, and you can download it for free on Smashwords, as well as most major eBook retailers. Check it out! And take a closer look at that cover – how cool is that?